June is Pride month so it’s time for our annual round-up of the latest LGBT (lesbian, gay, bisexual and transgender) insurance news. Corporate Equality: A record 304 businesses, including 16 insurers scored 100 percent in the Human Rights Campaign Foundation’s 2014 Corporate Equality Index (CEI) based on their LGBT workplace policies, benefits and practices. The number of insurers achieving the top ranking has seen a steady increase over the last decade, going from zero in 2002, to 10 in 2008 and 16 in 2014. A total of 734 businesses were rated in the 2014 CEI. This year marks the first time in history that over 60 percent of the Fortune 500 include both sexual orientation and gender identity protections. LGBT Marketing: There’s been a surge of marketing directed at LGBT consumers — and with good reason. The total buying power of the LGBT adult population in the U.S. for 2013 was projected at $830 billion, according to a November analysis by Witeck Communications. But it’s not just LGBT consumers who respond to this advertising. Some 70 percent of non-LGBT adults are likely to consider a brand known to provide equal workplace benefits, Harris Interactive and Witeck Communications found. 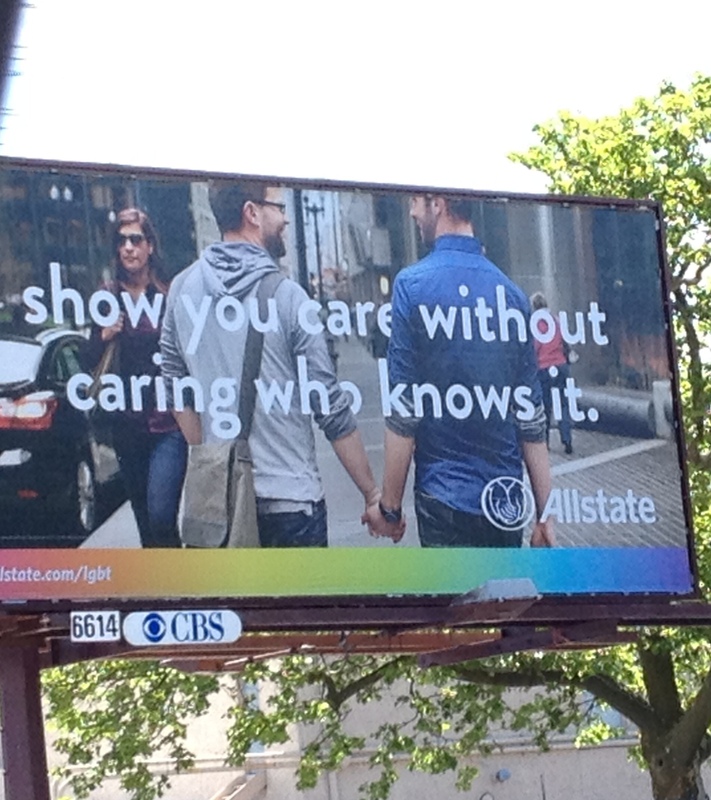 Just a few weeks ago, insurer Allstate launched its “Out Holding Hands” program, to encourage members of the LGBT community to share special and everyday moments out holding hands with their loved ones. Allstate teamed up with singer-songwriter Eli Lieb to create a video that illustrates the company’s belief that everyone should be treated with respect and without judgment no matter who they love. The video can be viewed on Allstate.com/LGBT.